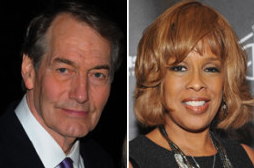 CBS is rebuilding its morning franchise in another attempt to escape the ratings cellar, betting on a sober-minded news broadcast behind hosts Charlie Rose, Erica Hill and Gayle King. The new program, which doesn’t have a name yet, will replace “The Early Show” from 7 a.m. to 9 a.m. and will debut on Jan. 9. Its new Manhattan studio and newsroom were a dusty construction zone on Tuesday, symbolizing CBS’ efforts to start an entirely new show instead of make cosmetic changes on the old one. CBS has been third in the ratings behind NBC’s “Today” show and ABC’s “Good Morning America” for decades. “It’s going to be a program that’s very different, that doesn’t try to copy what’s already out there and will be fulfilling to our viewers,” Fager said. Rose, who will continue his late-night PBS interview show, will co-anchor the first hour with Hill, who has been on “The Early Show” for the past two years. King, a veteran talk show host, will join the panel at 8 a.m., an hour when morning show viewership is dominated by women. King said she is discontinuing her talk show on the Oprah Winfrey Network, or OWN, and her satellite radio program. Rose was recruited by Fager, with whom he has a long working relationship at CBS. King was the suggestion of the new show’s executive producer, Chris Licht, because he liked how she did as an occasional guest on MSNBC’s “Morning Joe,” where he was the producer before joining CBS earlier this year. Rose said he was “thrilled” to be on the new show.